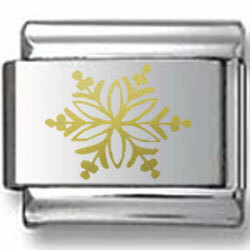 This unique charm will bring you back to the days when you were cutting up paper snowflakes. This acclaimed piece will stand out among the rest in your collection. It is made of laser-etched technology onto a stainless steel base.